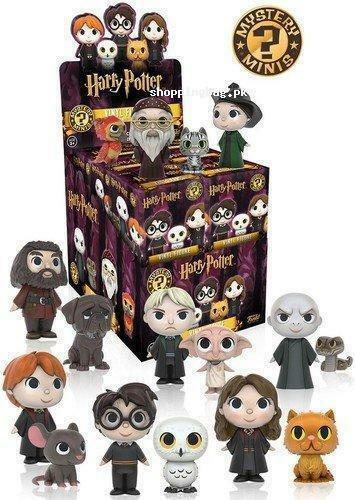 The Funko Mystery Mini Harry potter action figures set contains 3-inch in size action figures of all leading characters from harry potter series. Well-articulated action figures for kids allow kid to recreate the story again. It is suitable for kids of age 5 to 15. You can buy it via Amazon imported action figures shopping in Pakistan. Your favorite Harry Potter characters have been given the Funko Mystery Mini treatment! Check out the other Harry Potter figures from Funko! Collect them all!